Simon is on v-a-c-a-t-i-o-n, baby. Anyway, it's his first since August so we are all hearting life and really living it up in serious basement clean-out mode which includes debating the merits of keeping vs. donating the bread box we haven't used in four years (you know where I stand). And did I mention living it up? Were you lost without my links on Friday? I knew it. I'll try to salvage the day right here, right now. I went ahead and bit this bullet! I can smell your baited breath already. I'll keep you posted. I'll be doing a little speaking stint here in March and I'm super excited. It's my first and if you'll be in attendance ... please have your expectations as low as they can possible go, please AND thank you very kindly. And this week on The Days of Our Bachelor ... I think my new favorite is Carly (her brother, a finalist on Desiree's season writes surprisingly insightful recaps here! go!) but don't forget about the classics and my personal favorites ... Ashley and Sharleen. Also, on that note - I'm loving this book way more than I thought I would. Here's my new favorite pair of maternity jeans (yeah, yeah - let's not talk about how early I toe-dove into the panel-laden denim ... it's not good for um, the baby) even though the model looks like she's wearing capri leggings and ready to go running - she's not doing them the correct justice. I promise. I don't take the heart eye emoji lightly but these get multiple heart eyes. Quadruple, probably. I'm in a generous mood. I was so glad that Fran typed out her reading list so that I don't have to (sort of) sheepishly text-hound her for book suggestions every other week. I'm also giving this genius new service a trial run because I got irrationally impatient waiting for certain titles from the library. Mature Forever - my mantra. I'm a big fan of this blog post I saw floating around Facebook and recently discovered this gem of a gram account and am unhealthily hooked. Is that enough? Too much. Always too much from me. I'll be back tomorrow with more words and some photos. Grace overload forever and ever. C'est la most difficult life you lead. I am loving Sean's new book....this Bachelor/Bachelorette stuff is addicting and I can't quit it at all. Is that sad? Don't answer that!!! I'm also not sure on a favorite yet, jury is still out on that one cause we got a whole lot of whack a doodles up in the house yet...Ashley I. please stand up! Oh Sarah Bessey. I just love her. Such an excellent writer. Oh Phoebe. I can't choose my favorite Patton child, but dang. She's adorable. yes - COME!! And bring that baby!!! YES! Carly is my fave, too! I discovered last week that she's Zak's sister, tweeted my a-ha moment (obvs, it's not real unless it's on Twitter), and did a huge happy dance when she retweeted me. Pretty much made my entire week. 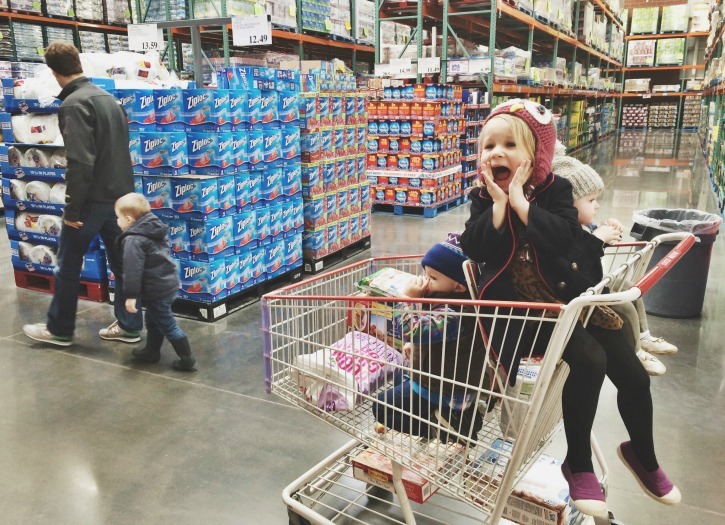 PS Julia's excitement at Costco warms my heart. Would love to hear your thoughts about Oyster after your trial! Been debating myself about signing up. YAY for time off! It is much needed for the Patton clan I am sure. Enjoy, enjoy, and then enjoy some more! So I read "I'll be doing a little speaking stint" as "I'll be doing a little SPANKING stint" and I was like - whaaaaaaa?! I blame it on staring at a computer all day at work, or perhaps my brain not being able to tell the difference between "e" and "n" - because they totally look the same. Congrats on your speaking stint- so awesome! I'm due March 5th with baby uno, or else I would be there in a heartbeat! 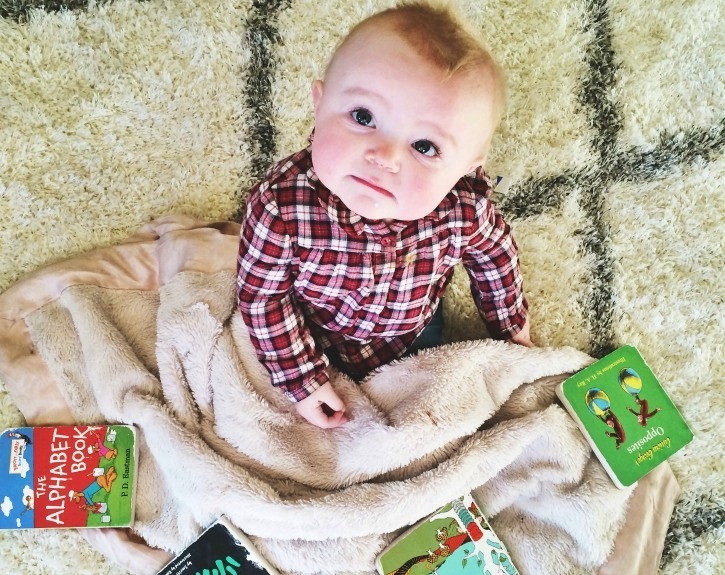 Love reading your blog, insta, etc... thanks for sharing the Patton Family with all of us! Yay for vacation and better sleepers!!!!!! Seriously doctors and residents need way more vacay time. Also, Grace you have to absolutely read the book The Life-Changing Magic of tidying up: The Japanese Art of Decluttering and Organizing. SOOOO Good! And especially pre-new-baby and pre-moving. I'm telling you this book is LIFE CHANGING. It's a pretty quick read and you will totally love it. Your hoarder Julia might disagree with some points but…do it anyways! 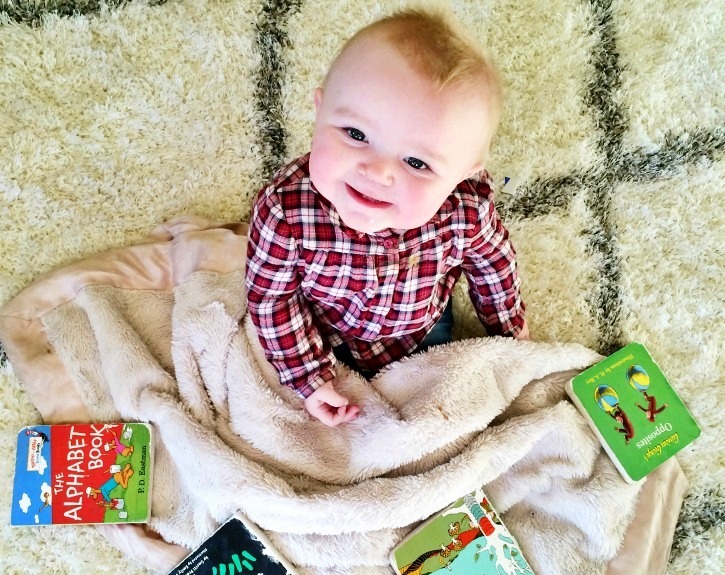 I adore you and your blog as always!!! Good for you! We have that rug also, in blue and ivory and I love it. So cute! Dying to know how you like Stitch Fix. Been flirting with it for about a month but haven't made myself pull the trigger yet!! Enjoy your mini-vacay with Simon! Love that Miss J's shoes appear to be on the wrong feet. Not sure why I always think it's so adorable to see littles that way. Maybe because mine are big and no longer cute and charming? That Phoebe girl is just delicious. You guys make the most beautiful children!! I'm supposed to get my Stitch Fix box today- I will let you know how it goes! Oh how I adore you!!! What...Zak is Carly's brother?!?! That's crazy! And oh how I loved reading the blog post about Love looks like. You are simply the best!!! Long live vacation! You will do so great, and we can't wait for you to come! Also - thanks for the maternity jeans tip. Putting them on my wish list. I'm super intrigued by this Catholic blogging conference!